The Tranquility 30 Series provides you with MORE energy savings than any conventional space conditioning system available. The advanced two-stage compressor and variable speed fan maximize efficiency while EarthPure Ozone Safe refrigerant provides unprecedented environmental protection. The system is engineered for quiet, efficient operation and comes in multiple capacities and a variety of configurations. 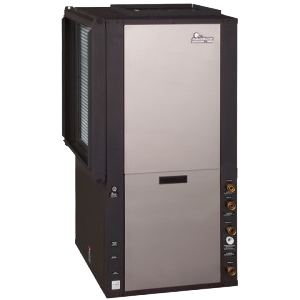 Featuring the latest in geothermal heat pump technology, the Tranquility 30 Series delivers comfortable, environmentally responsible heating and cooling, plus savings on your utility bills. Utilizes the consistent geothermal (underground) temperature to reduce energy use.